A Diamond on the Damariscotta River: Most antique houses, unlike diamonds, "Lose their charms in the end". 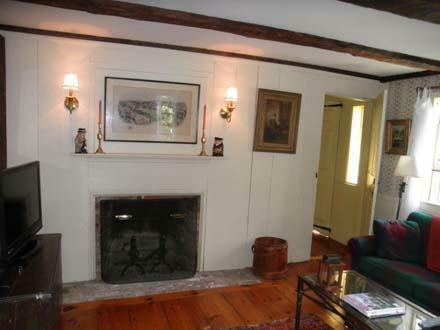 This restored 1767 waterfront cape has become more beautiful and charming with the years. 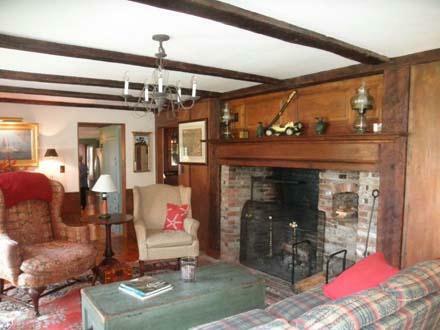 It was originally built in 1767 and moved to its present waterfront location on meadow cove, in E. Boothbay. Sited on 1.1 Acres of rolling lawns, meeting the sea with 100ft. 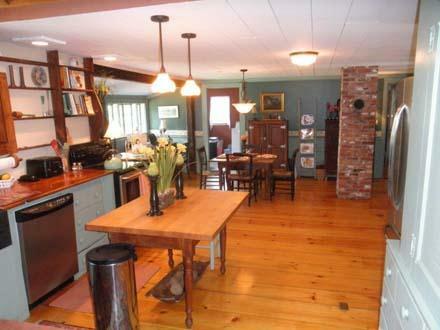 of tidal waterfront, and expansive views of the Damariscotta River. Carefully, and lovingly restored to modern standards, over the 16 years by the present owners, none of it's storybook character has been diminished. Wide pine board floors, exposed beams, 9 rooms, including 4 bedrooms, one on the first floor, 4 baths, 3 fireplaces, including the spectacular one in the living room, all new or upgraded systems, attached oversized garage, an old fashioned "Secret garden", and a fanciful gazebo! New to market.